I have extracted the measure in question that I'm struggling to understand how the notes line up to the existing (4 4) time signature. 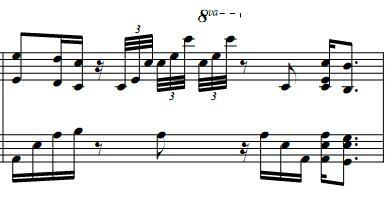 As I understand, the bass has 16, 1/16th counts, but the treble portion has 35, 1/32nd counts (too many). As far as I can tell, each 3-bar set of 32nd notes on the treble portion are suppose to be 3/32 count of the measure but I'm not sure what the '3' written is meant to indicate. It feels as if the 3-bar set of 32nd notes should be 1/16 of the measure, which would then create a measure total of 32, 1/32nd counts but I'm not sure why? I'm sure there is a musical term for this that would help point me in the right direction. You have guessed correctly. The correct musical term for groups of three notes with a three on top is called a Triplet And such irregular type of rhythmic notation is called a tuplet. Anyway, in the case of triplets, three notes will equal the time of two notes. meaning if there are three eight notes then they will take the time of two eighth notes in total. Same goes for 32nd notes. That's why you noticed that they had to take the time of a 16th note (two 32nd notes) to complete the measure. Not the answer you're looking for? 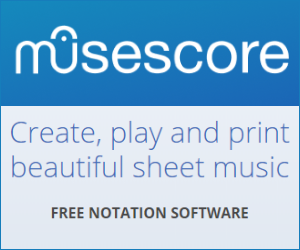 Browse other questions tagged piano notation rhythm time-signatures tuplet or ask your own question.